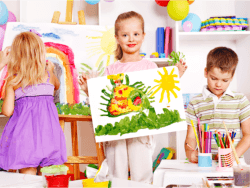 We make sure that children will always have something to look forward to in school that is why we regularly prepare exciting school activities weekly. We make sure that these fun-filled activities still has learning and educating opportunities in them. These will be safely facilitated and supervised by our teachers and school staff. For a more updated list of activities, please keep yourself posted in our online or school bulletins. You may also call us at 718-545-0535 for more information.